One Ukrainian soldier reported wounded. On the morning of December 23, a combat engagement occurred near the village of Vodyne, Donetsk Region, the Ministry of Defense reported on Friday. "An enemy group of eight people approached an observation post of Ukrainian army and opened fire. Ukrainian soldiers retaliated, making the enemy to retreat. Our servicemen suffered no losses, one soldier was wounded," the statement reads. 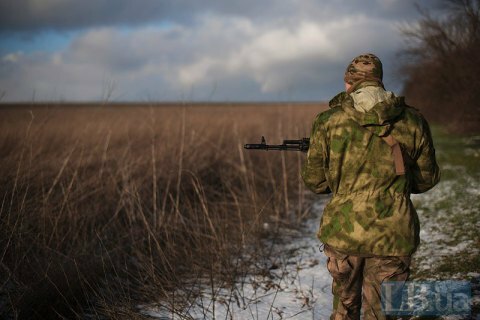 Since Sunday, the so-called Svitlodarsk bulge remains the hottest spot in the ATO warzone. A new ceasefire in Donbas is slated to start on 24 December.